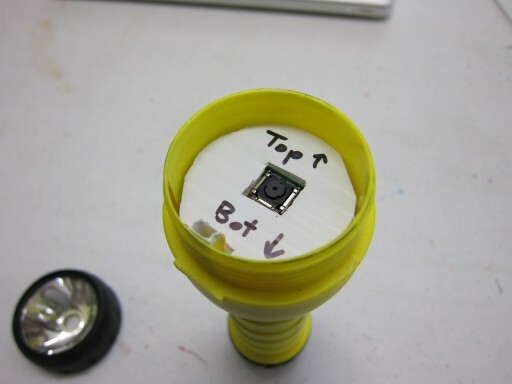 We explored a number of approaches to creating a “virtual flashlight” that would allow users to cast light on a projected room, and use it to trigger the display of images and videos. 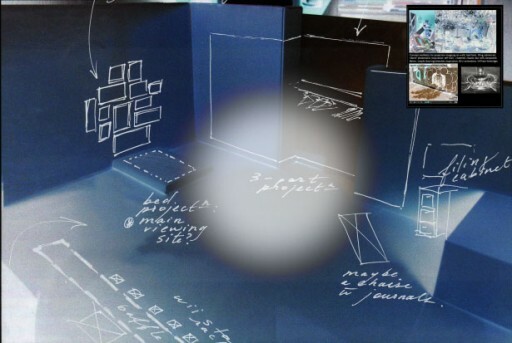 Initially we considered a system using a webcam and laser pointers – however, this required using a limited set of display technologies (front projection) and we could not limit ourselves to that option at an early stage. It turns out that Wii videogame controllers are easily modifiable to be used with computers, and are a highly reliable and accurate pointing device. I first developed a simple proof of concept using Max/MSP, and very useful piece of software called Osculator. This established that the Wii controllers worked reliably, and more importantly, that the illusion of casting a virtual spotlight was convincing, and interesting. We worked extensively with Paradiso Projects to develop the design further, and develop the software that would bring the installation to life. The final result looked almost identical to what was originally specified, and was aesthetically and functionally very effective. Kudos to Paradiso Projects for delivering such an outstanding result in such a short timeframe! 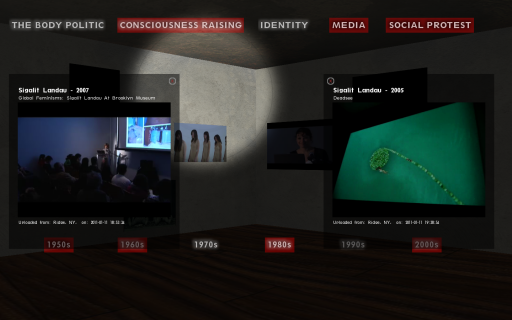 At the same time as the software for the installation was being developed, I worked on creating the physical interface. We wanted the controllers to look and behave just like real flashlights. 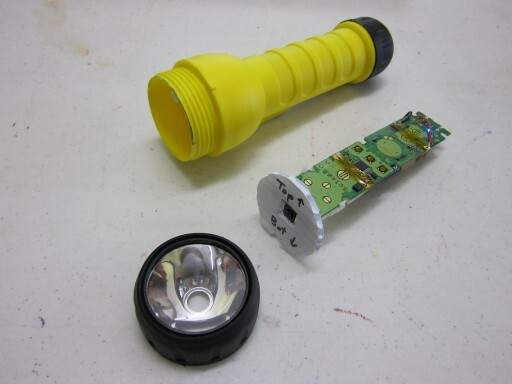 We considered building a new flashlight-like housing for the controllers, but it seemed to make sense to try to retrofit an existing flashlight. Fortunately, the very first flashlights purchased turned out to be exactly the right size to house the guts of the Wii controller. Disassembling the Wii controller required the use of special security screwdrivers, which fortunately I had already. Once the external casing was removed, I needed to add a battery holder, since the Wii battery holder forms part of the external housing. I initially tried soldering a Radio Shack battery holder directly to the existing tabs on the Wii, but this did not work. Too much heat was required for a good solder joint, and this destroyed the wiring in the battery holder. 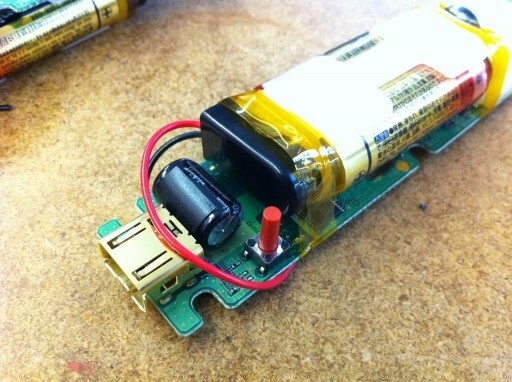 A much better option was to solder the two wires from a 9V battery snap-on connector to the solder pads on the Wii controller, and then clip the battery holder into this. 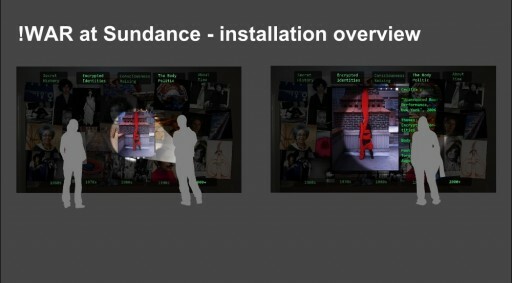 The interface for the installation was designed to work by pointing and hovering, so no access to the buttons on the Wii was necessary. I cleaned out everything in the flashlight, and found that the Wii electronics fit almost perfectly. I only had to do a little bit of machining to the reflector. The clear lens turned out to be transparent to infrared, which is necessary to allow the camera in the Wii controller to work effectively. I added a plastic disk that clipped onto the front of the Wii electronics in order to keep the camera centered and hold it in place. I also cut a notch in the disk that matched a guide tab, to ensure that the orientation of the Wii with respect to the flashlight was always maintained. This turned out to be unnecessary: the Wii always orients itself correctly. 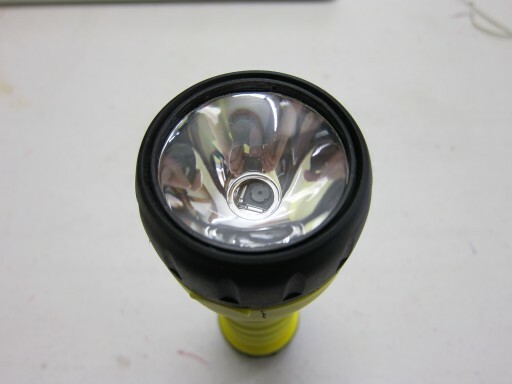 It was truly fortunate that we found flashlights that were the right size, could have the reflector easily machined, and had a lens that was transparent to infrared! 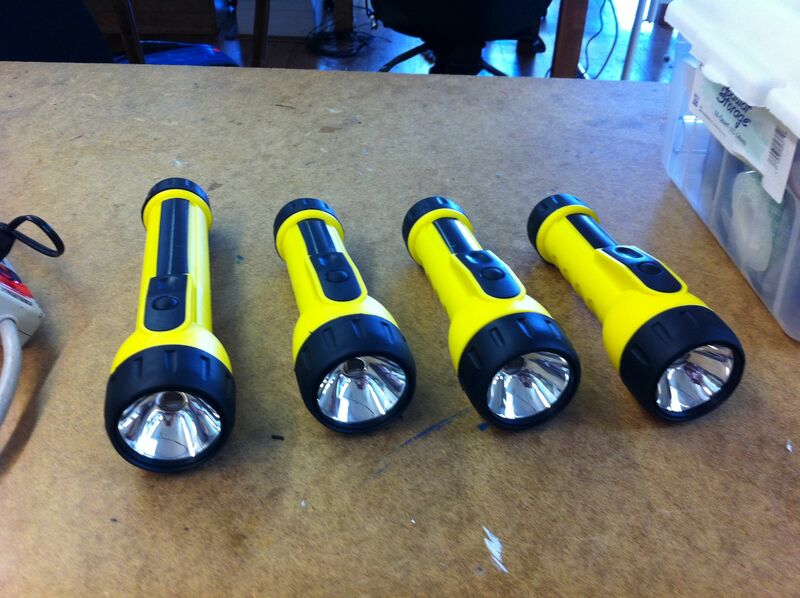 A final step was to remove the branding on the flashlights, using black vinyl electrical tape. Once on-site, we needed to install an LED bar that is used by the Wii controllers to establish their position with respect to the screen. Initially, I had used a small LED bar from Best Buy, that seemed to work well in the studio environment. However, once on site we realized that the LEDs were really not bright enough to provide a good experience. It was easy for the controllers to lose sight of the LEDs, and then the installation would become erratic or unresponsive. Replacing the LED bar with a much higher-powered one led to a huge improvement in performance. However, this turned out to be a weak link, since it tended to go through batteries really quickly. Going forward, a USB-powered LED bar seems to be a much better option. In general, the Wii flashlights performed well. However, there were a a couple of rough spots. The first was that the scaling of the position returned by the Wiis needed to be scaled for each venue – the Wiis are designed to work with much smaller screens. The second issue had to do with establishing a connection between the computer that runs the installation, and the Wii controllers. Nintendo uses a proprietary system for doing this with the game console, whereas Osculator requires the connection to be established manually every time the installation runs. We were able to teach the volunteers from the Sundance organization how to do this, but it would be good to automate the process. This was by far the most complex part of keeping the piece running.